Are you a day dreaming writer? 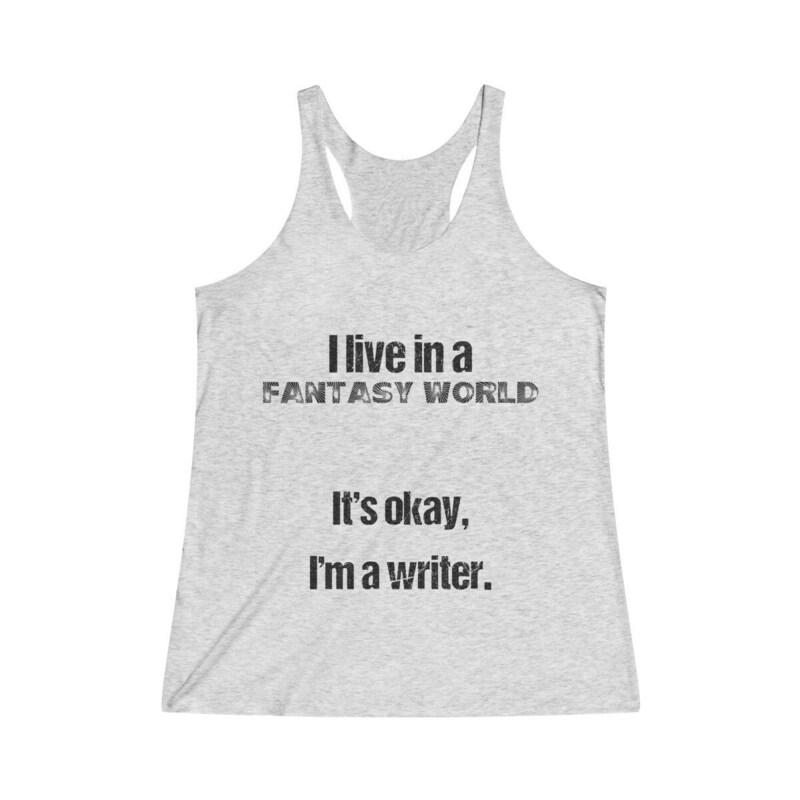 A must-have for every woman writer. A tank top to wear at home, the gym, out and about...this fitted racerback looks good everywhere! Quality work as always! Shipped quickly. Thank you very much for the beautiful cards! great item, quick delivery, thanks so much! These are all so pretty and very nice quality. Thank you for fast shipping! Payment is due immediately via Paypal, or the Etsy payment system. If you are in the state of Arizona, please understand that your total will include sales tax. If you need to cancel your order, please do so within a 6 hour period - as some of the items are fulfilled from another state. Cancellations may not be made after an item is shipped. Refunds - There are no refunds on personalized or custom orders. So please make sure you look over everything before you finalize your personalized order. For non-custom orders, refund requests will be looked at on a case by case basis. Typically, after an item ships and you change your mind when you receive an item, you may ship it back to me within a 5 day period at your expense. As long as the item is received in original condition, you will receive a full refund. Full refund = total cost you paid for item and shipping item to you. (There will be no refund for your shipping the items back to me). If you receive a damaged item, please take a picture of it immediately and email me. From there, I will work with you to make sure your item is replaced, or work out a refund as soon as possible. Shipping is made via the U.S. Postal Service within 5-7 business days of your order placement AND payment. (Often items will be shipped sooner than this, but some do in fact need that 5-7 days of processing time). We are not responsible for lost or stolen items. International shipments are all marked as merchandise and any and all customs or import fees are the responsibility of the buyer. Want something in bulk or would like to make a custom order? Please message me.